Radiohead, because we didn't want to publish a picture of fellow FAC members Wet Wet Wet. Robbie Williams, Radiohead, The Kaiser Chiefs, David Gilmour, Craig David, Iron Maiden, The Verve and Billy Bragg. While it's a line-up that would make for a hellish mixtape, some of the UK music industry's heaviest hitters have joined forces as part of the Featured Artists' Coalition. The FAC was launched at Manchester's In The City industry conference/unsigned bands meat market over the weekend with the broad aim of giving artists more control over the copyright and online usage of their work. Along with a greater share of the profits, of course. The FAC will have an independent chairman with six artists, three managers and representatives from the Musicians' Union and Equity, and a six-point manifesto. This includes a 'use it or lose it' approach to copyright which prevents labels sitting on unreleased recordings. Significantly, the FAC also assert that all transfers of copyright should be by license rather than assignment so that the artists retain ownership of their copyright. This model has been used by Oasis since 2000, their Big Brother Recordings releases being licensed and distributed by Sony. "We believe all musicians and artists should be signing up." Radiohead's Ed O'Brien. It is hoped that the union will act as a single voice for all artists, dealing with the government, record labels and digital distributors. 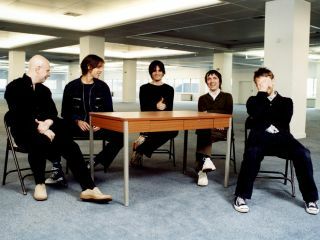 Radiohead - who left EMI following copyright wrangles and subsequently released In Rainbows as a 'pay what you can' download - were among the first acts to sign up to the FAC, with guitarist Ed O'Brien describing the decision to join as a "no brainer" and going on to say that the band "believe all musicians and artists should be signing up". "I think with the digital age and record companies dispersing and disbanding, young bands need a governing voice that will support them and help protect their work." For more information on the Featured Artists' Coalition, visit the official website.